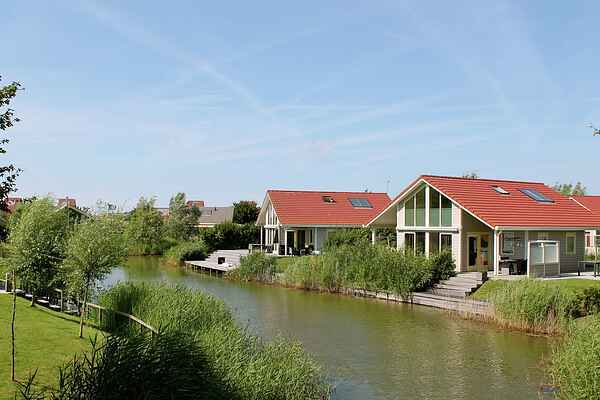 These special looking, detached villas are implemented in several ways. The shape of the roofs refers to different water birds. What is striking about these villas is the large windows at the front of the house. This immediately creates a feeling of spaciousness upon entering. The villas are modernly furnished. In some villas there is also a fireplace. Through the French doors in the living room you have access to your south-facing terrace with garden furniture.